Among other accomplishments during Flynn’s tenure, Notre Dame California launched its Silicon Valley Semester (SVS), which allows a select group of Notre Dame juniors majoring in computer science and engineering to spend their spring semester living, studying, and working in Palo Alto. The SVS consists of both Notre Dame coursework and credit-bearing internships at companies including Kyndi, OpsPanda, Intuit, QuakeFinder, Stryker, and AT&T. The academic hub for the program is the Notre Dame California facility. Opened in February, it is located in AT&T’s central office in downtown Palo Alto and represents ongoing collaboration between the company and the University. Flynn was instrumental in this process, as well. 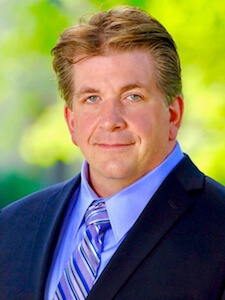 Taylor received his Ph.D. from Rensselaer Polytechnic Institute and completed a postdoctoral fellowship at Stanford University before joining Notre Dame’s Department of Chemistry and Biochemistry in 1995. Noted for his work in the synthesis of novel pharmaceutical compounds, Taylor continues to maintain an active research portfolio on campus at Notre Dame, where he played a key role in founding what is now the Boler-Parseghian Center for Rare and Neglected Diseases as well as the Warren Family Research Center for Drug Discovery and Development. 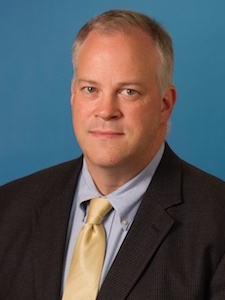 He was acting director of the Warren Center prior to accepting the appointment at Notre Dame California and is currently program director of rare disease research and development there. During his 20-plus years on the University’s faculty, Taylor has also served as associate dean of research and graduate education in the College of Science and associate vice president for research. Originally published by Ted Fox at california.nd.edu on August 01, 2017.